Cholesterol is so crucial that every animal makes it as well. Why do eggs contain cholesterol? Try forming a chicken without it! 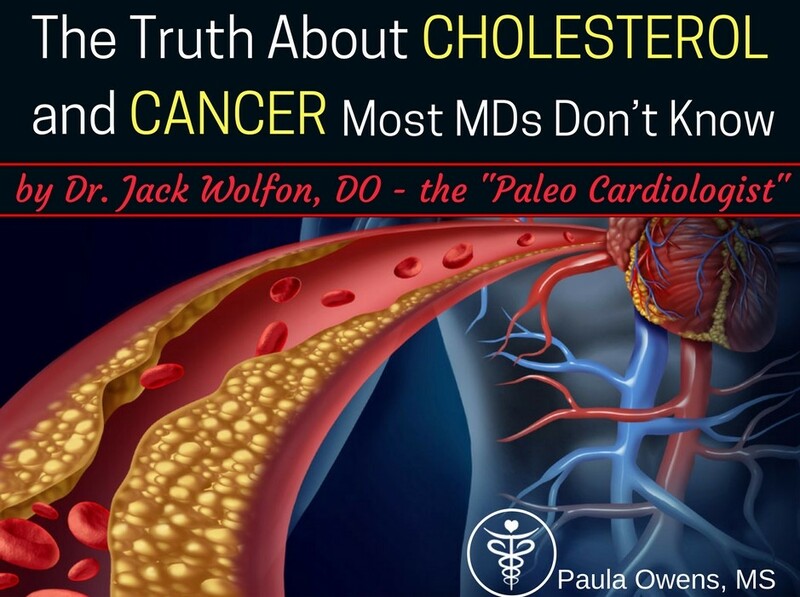 I’ve written extensively about the subject of cholesterol in my book, “The Paleo Cardiologist.” The anti-cholesterol rhetoric that I’ve listened to from the media and medical doctors over the years is nothing more than brainwashing and propaganda from Big Pharma to sell us drugs. Aside from lowering cholesterol, these drugs do very little if anything for outcomes that matter such as stroke, heart attacks and dying. In addition, cholesterol-lowering drugs have endless side effects. Is There Such a Thing as Ideal Cholesterol Levels? Truth be told, total cholesterol has very little to do with longevity or death. Studies confirm that there is very minimal difference in mortality with cholesterol levels between 160 and 260. The goal is to find the ideal cholesterol level for each patient as an individual. Your perfect cholesterol level is different from your spouse, your sister, and your best friend. LDL has been touted as the “bad” cholesterol and HDL the “good” cholesterol. But this version of the story is false. HDL and LDL aid the immune system and transport vital nutrients (like cholesterol and fat soluble vitamins). There’s plenty of data indicating that those with higher cholesterol have a lower risk of cancer! Pancreatic Cancer. Men with the highest cholesterol had a 48% lower risk of pancreatic cancer along with a 33% lower risk of non-melanoma skin cancer, 86% lower risk of liver/gallbladder cancer, and a 32% lower risk of lymphoma and leukemia. Colorectal Cancer. Studies suggest that those with higher cholesterol levels are protected from colorectal cancer compared to those with lower levels. Breast Cancer. Women with the highest cholesterol levels had the lowest risk of breast cancer. In fact, the number was 30% lower. The same study found women had a 39% lower risk of melanoma and a 39% lower risk of lymphoma/leukemia when their cholesterol levels were the highest. Prostate Cancer. Patients undergoing radiation and prostatectomy manage better with higher levels of LDL. Those with the highest LDL had a 33% less cancer recurrence compared to those with the lowest LDL levels. Lung Cancer. A recent study found those with lung cancer and the highest cholesterol levels had a 67% lower risk of dying. Total cholesterol as a measurement of heart disease risk or higher risk of stroke or death is so 1970s. If your doctor is assessing cholesterol, ask for advanced lipid testing. This would include LDL particles and HDL particles. You need to know the number of particles and the size of the particles. These measurements are so much more important than total cholesterol, total LDL and total HDL. In fact, the ratio of LDL particles to HDL particles is the best prognosticator of all lipid parameters. Remember, we need cholesterol and cannot live without it! Eat organic nutrient-dense real foods. It worked for our ancestors, it will work for you. Cholesterol in food does not increase heart disease risk, why would it increase cancer risk? Organic gatherer food and pasture-raised hunter food. Stay hydrated. Drinking quality water ensures that your cells are bathing in health. Water molecules make up over 99% of the molecules in the body. Avoid environmental pollutants. Chemicals, toxins and heavy metals lead to inflammation and inflammation leads to excess lipid production. Clean air, clean water, clean food, and a clean environment. Daily sunshine. The sun converts cholesterol into vitamin D. Lack of sunshine equals excess cholesterol production. When we weren’t sleeping, we were outdoors in the sun. More sun equals more vitamin D equals lower cancer risk. Move your body. Physical activity keeps lipids in check. Physical activity lowers cancer risk. Get adjusted. Your local chiropractor fixes more than back pain. By correcting spinal subluxations, autonomic nervous system balance is achieved. This leads to excellent organ function. Get grounded. Harness the energy from the earth to charge the body. Good things happen to those that walk/stand barefoot. Consider evidence-based supplements. Some of my favorites include garlic, spirulina, and berberine, but nothing is more important than probiotics. Consider bergamot as well. Test to assess. Total cholesterol is “old school” medicine. You need to know LDL and HDL particle number and size. What About Pharmaceuticals? Corporate America loves to promote better living through chemistry. To be candid, there is literature supporting drugs such as aspirin and statins lowering cancer risk. But do humans get cancer because of a pharmaceutical deficiency? Obviously not! Cancer has a cause. Heart disease has a cause. Identify the root cause and you will have the cure! References available upon request. Jack Wolfson D.O. is a board-certified cardiologist with over 14 years in practice. He is the author of Amazon Best-Seller, The Paleo Cardiologist. Visit Dr. Wolfson at Wolfson Integrative Cardiology.